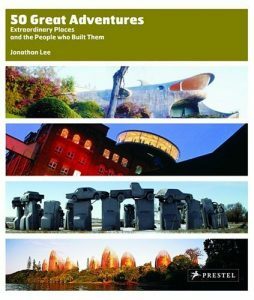 Travel meets biography in Jonathan’s first book – a highly personal exploration of some of the world’s most provocative, revealing and beautifully built structures. Readers get to explore a global spectrum of extraordinary built spaces, journeying from Lanzarote, home of César Manrique’s Jameos del Agua grotto, a James Bond-style fantasy, to India and Nek Chand’s Rock Garden of Chandigarh, a realisation of a childhood dream; and from Arizona where Paolo Soleri’s Arcosanti, a vision for a utopian community, shimmers in the desert, to China’s Forbidden City, conceived by the Ming emporer Young Le to assert his authority over a vast empire. Useful travel advice accompanies each piece, giving readers all the information they need to experience these extraordinary places for themselves.